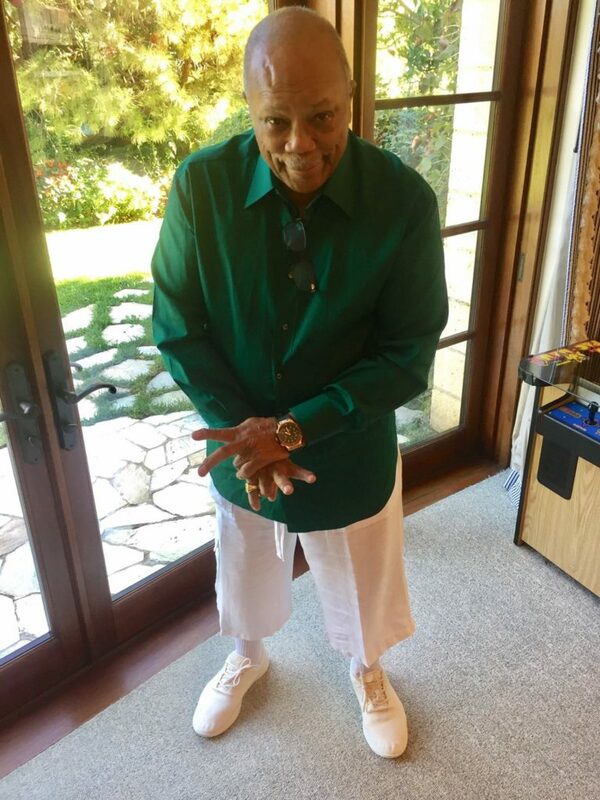 Home Spotlight	THE SPOTLIGHT IS ON QUINCY JONES A MUSICAL ICON! ON this day in R&B, we want to wish this talented icon a Happy Birthday. 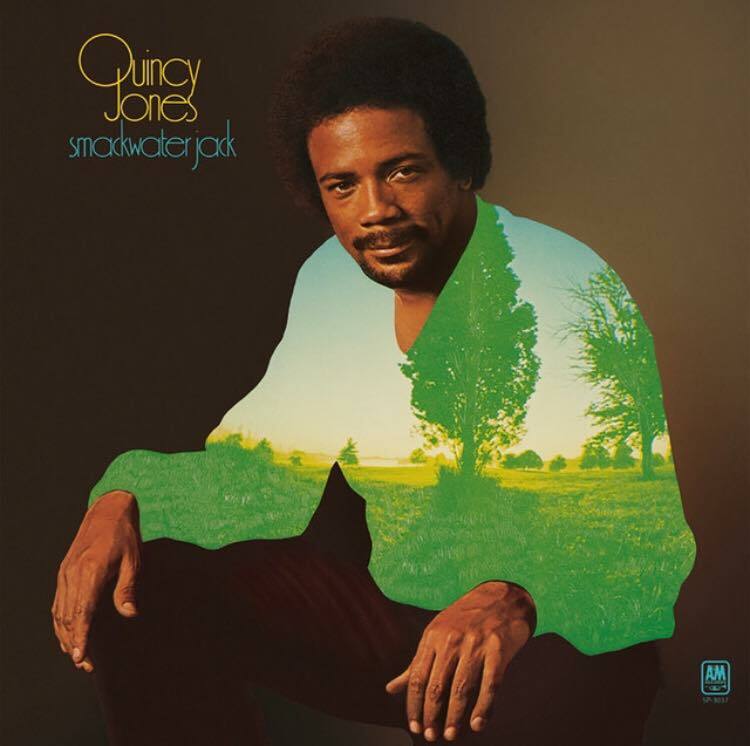 Quincy Jones the King of many genres of music. (R&B, Jazz, Big Band, Hip-Hop, Bossa Nova and much more) He is a Composer, Songwriter, Producer, Actor, Conductor, Instrumentalist, Magazine Founder, Entertainment Company Executive, and humanitarian. A very humble man, who was introduced to music by his mother Sarah Frances Jones. “She always sang religious songs, along with his next-door neighbor, Lucy Jackson”. “When Jones was five or six, Jackson played stride piano next door, and he would listen through the walls. Lucy Jackson recalled that after he heard her one day, she could not get him off her piano if she tried”. Unfortunately, when Quincy was young, his mom suffered from schizophrenia and was committed to a mental institution. His dad divorced, remarried and then moved the family from Chicago to the North West and eventually settling in Seattle. While attending Garfield High School, young “Q” as he was sometimes called developed his skills as a trumpeter and arranger. By age 14, he was playing with a National Reserve band and attained” much more experience with music growing up in a smaller city; otherwise, he would have faced too much competition”. “At the age of 19, Jones traveled with jazz bandleader Lionel Hampton to Europe—and he has said that his European tour with Hampton turned him upside down, altering his view of racism in the US”. “In early 1956, Jones landed a temporary job at the CBS Stage Show, then hosted by Jimmy and Tommy Dorsey and which was broadcast live from the network’s famed Studio 50, in New York City. On January 28, February 4, 11 and 18, as well as on March 17 and 24, Jones played 2nd trumpet in the Studio band which backed the then 21 year old Elvis Presley in his first six television appearances, most notably on his last three when he sang “Heartbreak Hotel”, which became his first #1 record, then Billboard’s Pop Record of the year. Soon after, Jones went on tour again as a trumpeter and musical director of the Dizzy Gillespie Band on a tour of the Middle East and South America”. 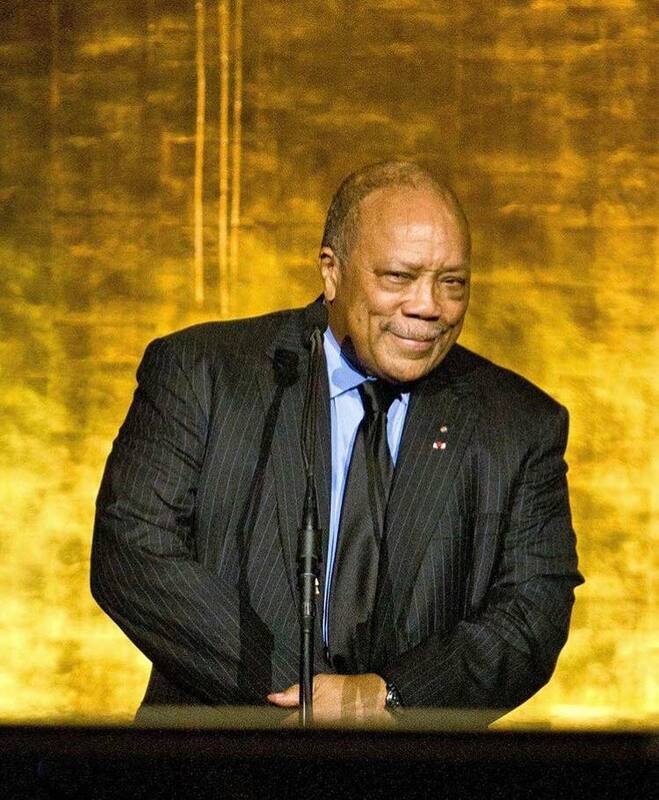 Over the years, Quincy Jones has put many legendary artists on the map, his career stretches 6 decades and he has won a total of 79 Grammy Awards nominations, 28 Grammys, and a Grammy Legend Award. 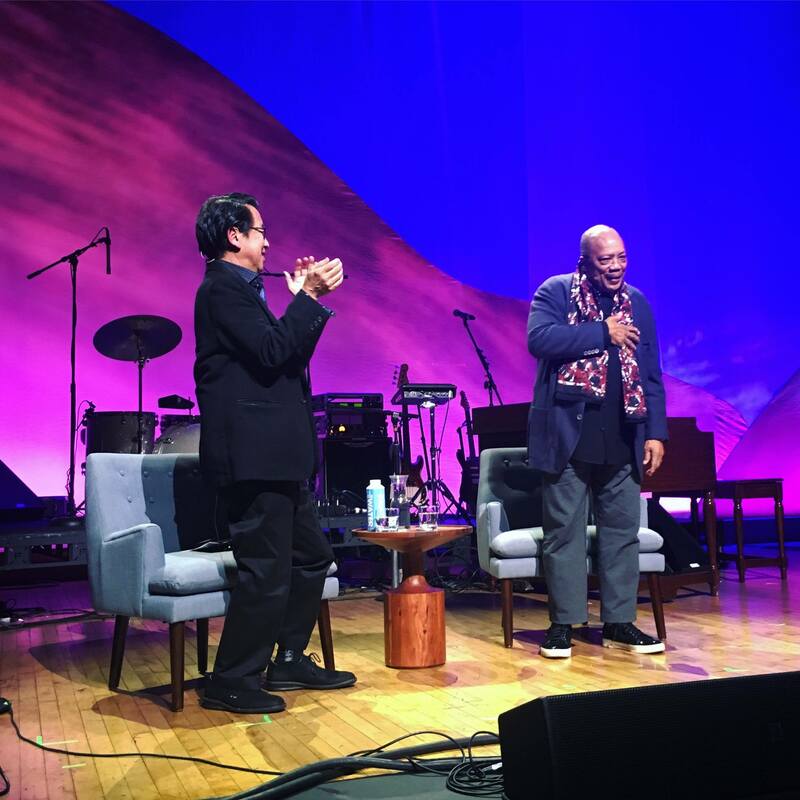 He continues to create great music for his fans enjoyment and was inducted into the “Rock and Roll Hall of Fame” in 2013 and named by “Time Magazine” one of the most influential Jazz musicians in the 20th century. 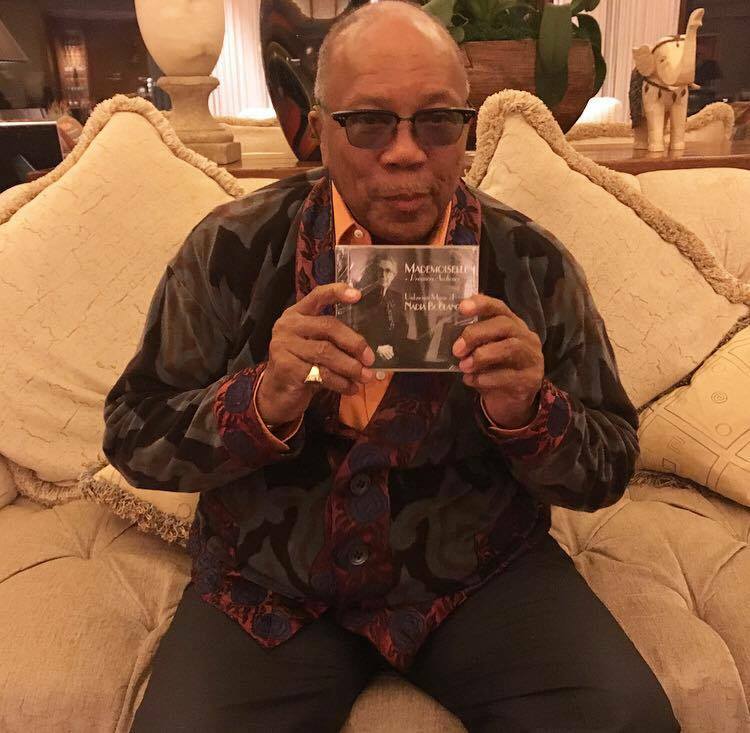 “HAPPY BIRTHDAY” QUINCY JONES THE WORLD LOVES YOUR MUSIC!